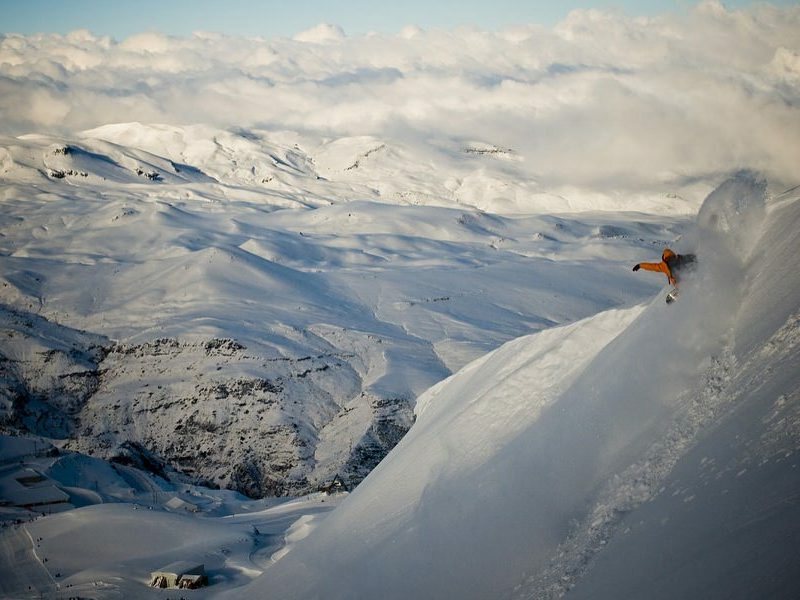 It’s endless winter on our most popular guided advanced off piste adventure—recently recommended by Freeskier Magazine. 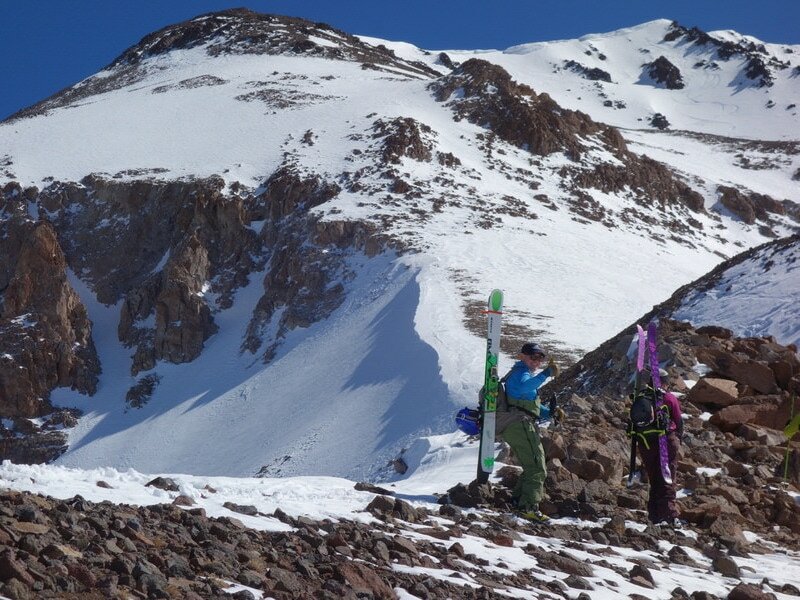 Experience Chile’s top ski resorts and epic backcountry terrain with our expert certified ski guides. 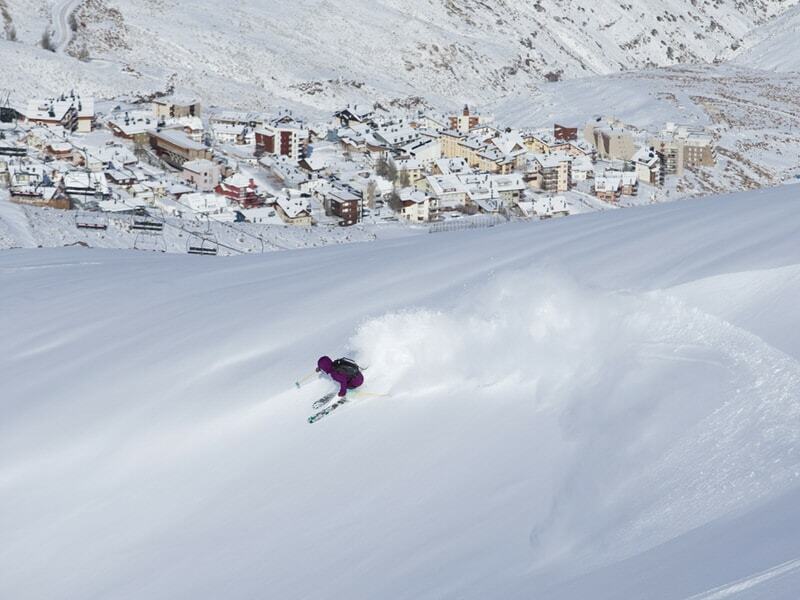 Find untracked powder in Valle Nevado’s extensive backcountry—or traverse over to neighboring La Parva and El Colorado. 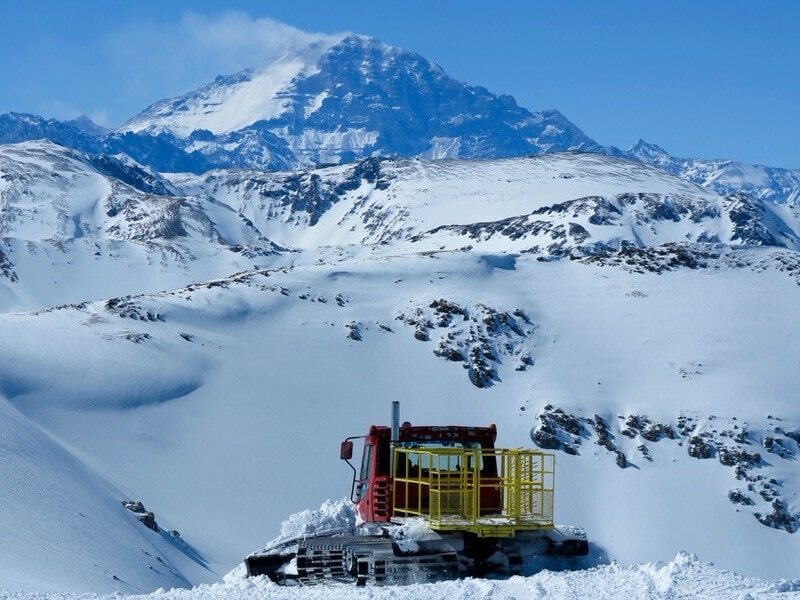 Together, these three resorts make up Chile’s largest combine ski area known as the “Three Valleys”. 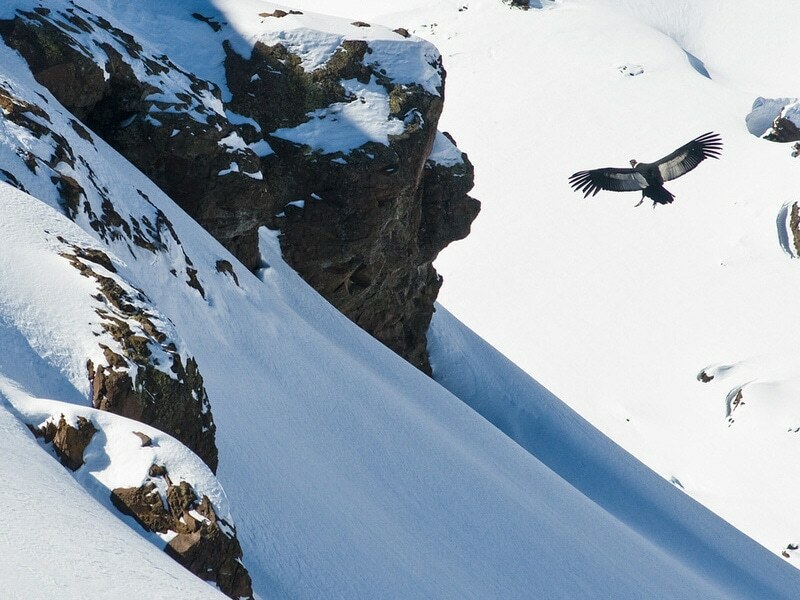 Explore the hidden stashes of South America’s iconic Portillo Ski Resort. And if you’re looking for 5,000 acres of mostly expert terrain, we’ll take you to rugged parts unknown at El Arpa’s via cat accessed backcountry terrain. 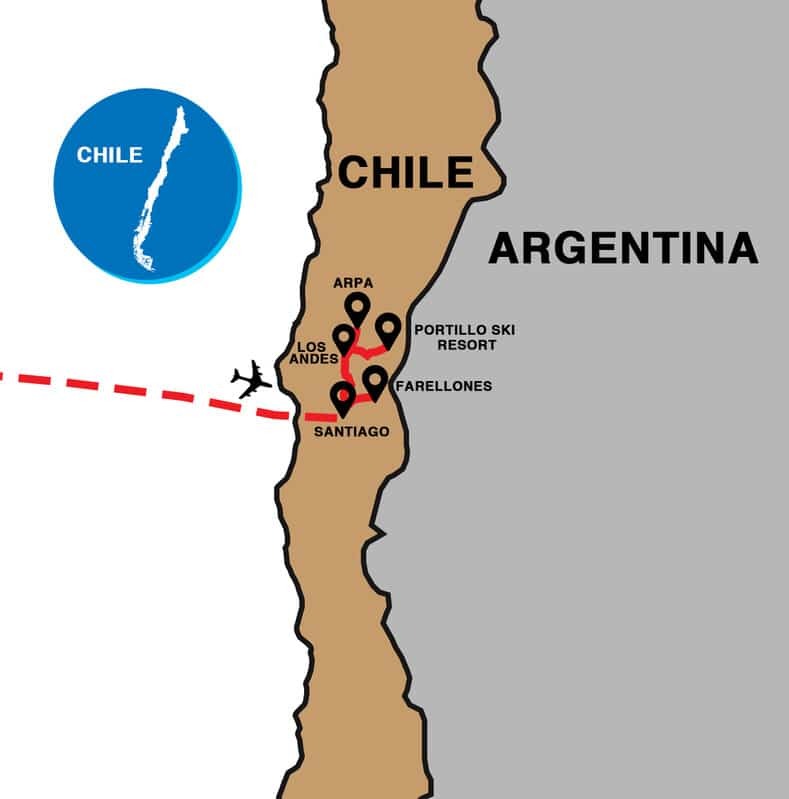 Enjoy local wines, home cooked meals, and the best of Santiago on this seven day, six night Chilean adventure. 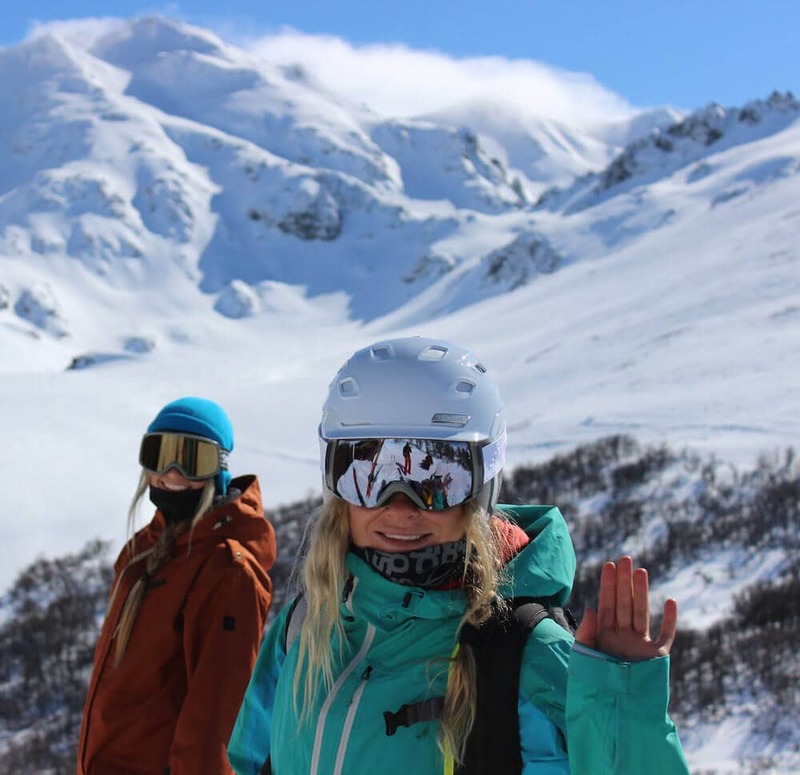 Perfect for advanced skiers and snowboarders, this trip unlocks the best of each resort’s inbound off piste offerings thanks to our expert guides. As well as solid backcountry riding. 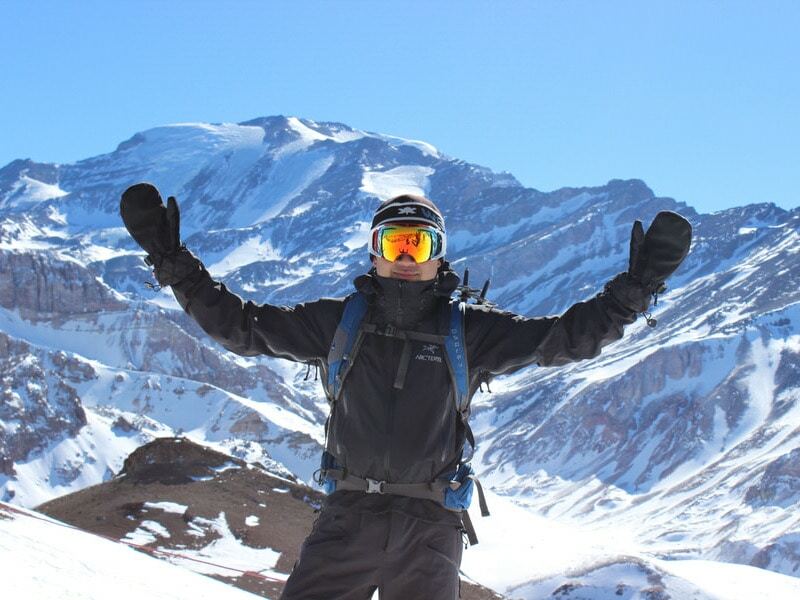 We’ll get you to the best of the Andes via lifts, backcountry hiking and cat skiing. Get the best of both worlds! 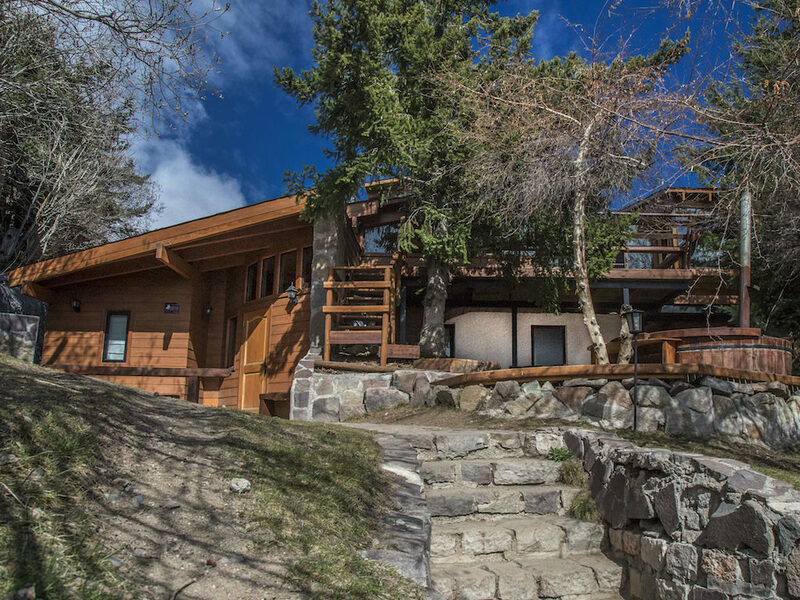 The Powder Lodge is located in the heart of Farellones, giving you great access to the mountain and only walking distance from vibrant nightlife. All rooms have a private bath, access to a sauna, massage room and outdoor hot tub. Breakfast, dinner and local wine is included. 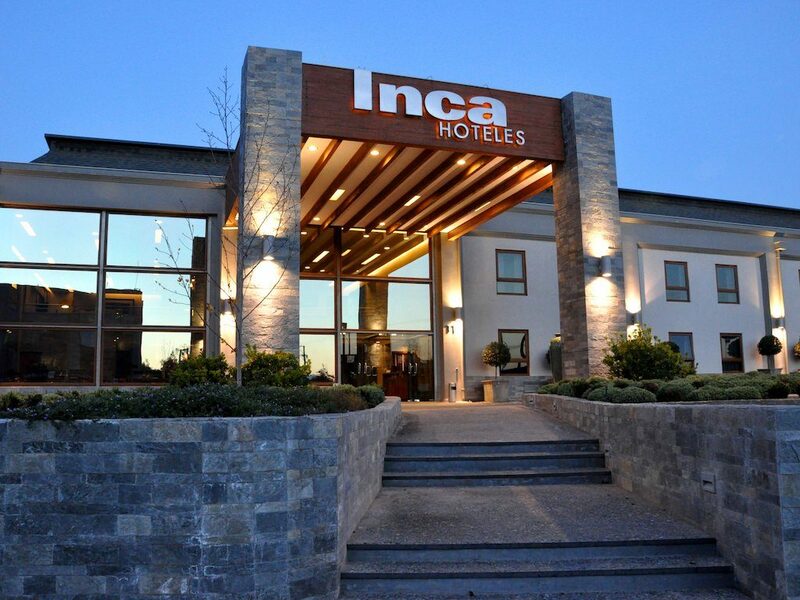 Conveniently located in downtown Los Andes, the Inca Hotel offers double twin, double queen or single king accommodations breakfast buffet and WiFi included. 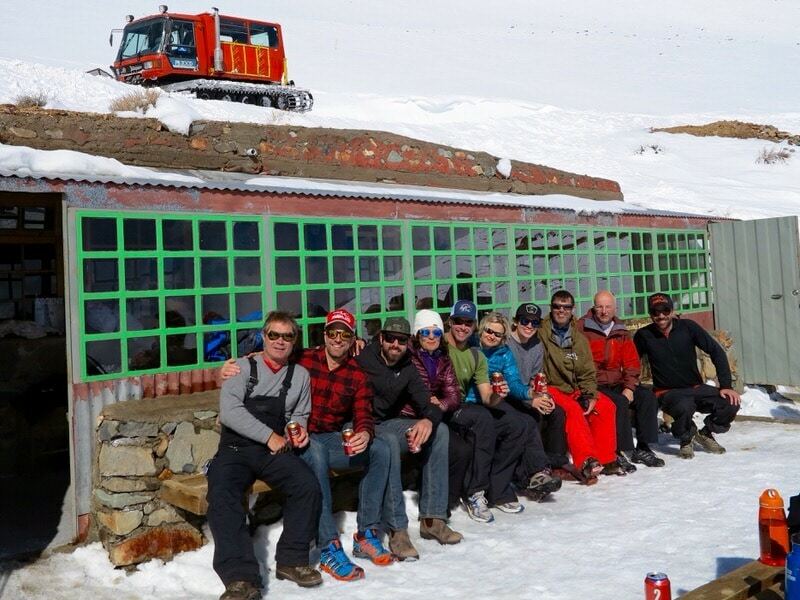 Close to both El Arpa and Portillo resorts, Los Andes is your Chilean mountain base camp. Enjoy a relaxing stay at the five-star hotel, The Aubrey. 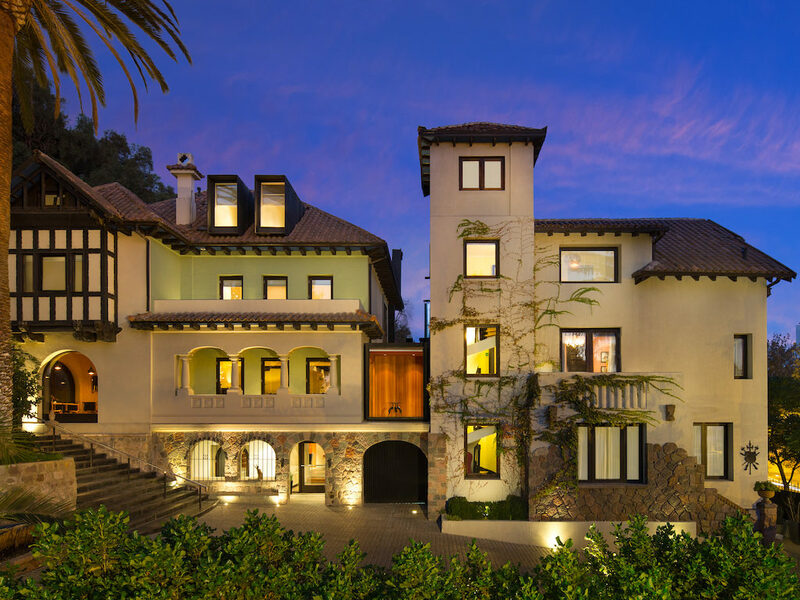 Close to Santiago’s best restaurants, thriving nightlife, and popular tourist attractions. 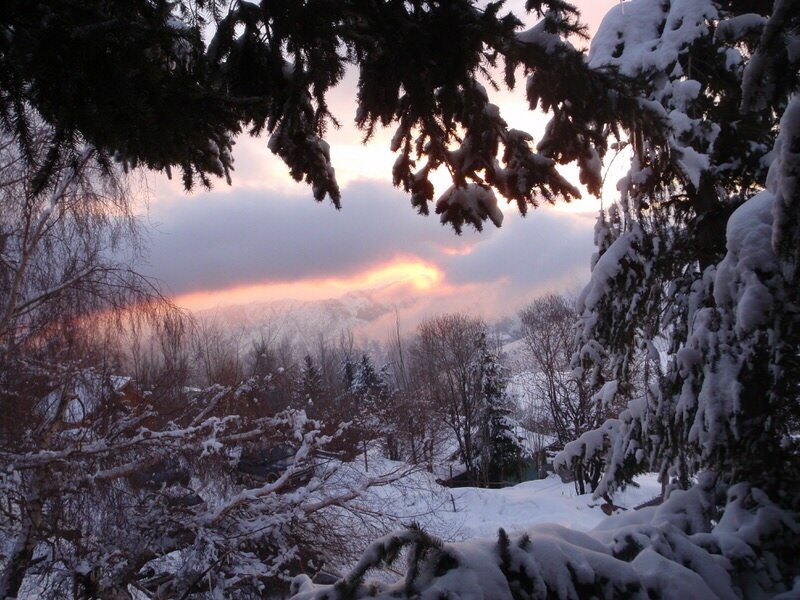 Accommodations are complete with WiFi internet, international breakfast, and an outdoor heated pool. Professionally guided. Almost all inclusive. Stellar off piste summer turns await. Reserve a spot today. Maximum effort from these guys, had an absolute BLAST! They not only took us to fresh powder when there was none on the resorts, but knew all the fun places to eat and party! Can't wait to Powder Quest again!